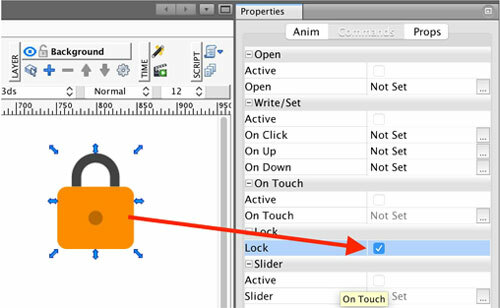 Lock, if applied, can turn any element of your graphics into a lock key. You can use Lock to disable accidental write/set commands from being executed. If enabled, the user must first press and hold the Lock element and then press the element with the set command. Lock element is not pressed = user cannot press the button. If you want to apply this function, select the object you want to set as a lock, navigate to the Commands tab of the Properties window, and check the box in the Lock section. 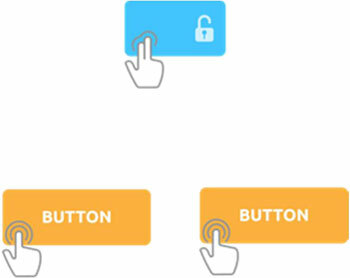 Note: This function is only usable on multi-touch devices. 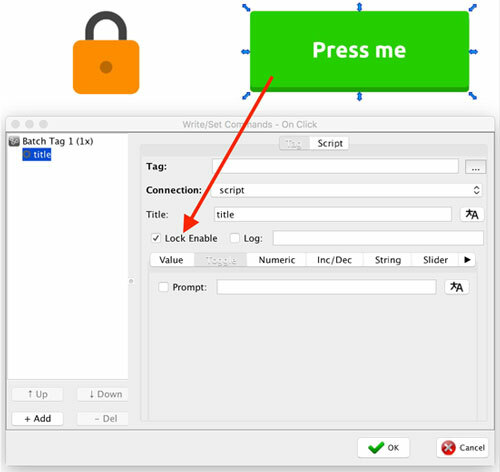 Once you have set up your Lock element, you can use it anywhere in the Write/Set Command. Simply apply the Write/Set Command to any element and check the “” check box. 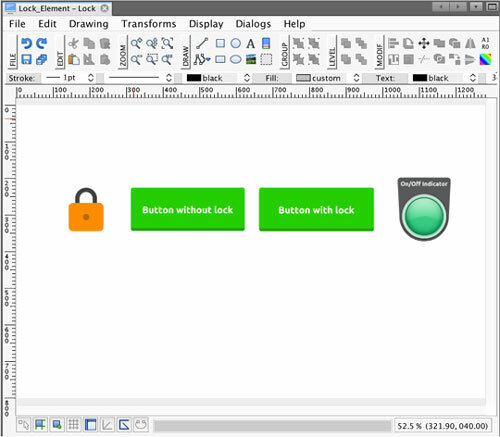 In the following example, we will create a simple view with a lock element and a button. 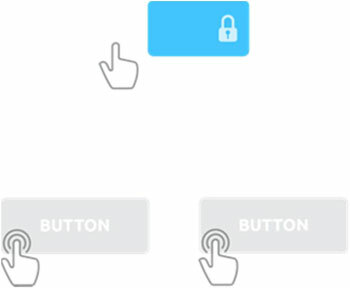 The button will be enabled only if the user presses and holds the lock element simultaneously. 3. Now navigate to the Write/Set command and create a toggle action. Check the “Lock Enable” check box. 4. Now when you open your view, you will be able to press the button only if you simultaneously press the Lock icon.